Experts “Octan LLC” exercise control over loading and dischrge, weighing and measurement of freight, and also other services necessary in each case. Very often the parties participating in transportation process, bunkering are interested in constant control over cargo operations to prevent all possible losses. For these purposes this type of a survey serves. It includes definition of quantitative and qualitative characteristics of freight during cargo operations, and also inspection of laying of freight, a survey of damages, weighing of freight, marking, etc. – Inspection of technical condition of the vessel and/or determination of number of the bunker on the vessel (Bunker-Syurvey). – Inspection of readiness of cargo holds, cargo tanks for transportation of goods. – Inspection of a condition of freight before loading on the vessel. – Inspection of damages of freights, containers. – Determination of quantity of the shipped/unloaded bulk freight on measurements in tanks. – Definition of the shipped bunker from fuelers on the vessel, in roastead conditions and in the high sea. 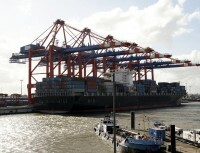 – Investigation of disagreements between the vessel and the cargo terminal at loading/unloading. – Laboratory analysis of oil products. – Seal of cargo rooms and technical means of loading/unloading. – Protection of legal interests of the client in Arbitration court. We have contractual relations with the leading laboratories of the Far East region of Russia. • Oktan LLC realize the activities in ports: Vladivostok, Slavyanka, Nakhodka, Vostochnyy, Livadiya, Zarubino, Preobrazhenie, Bolshoy Kamen . Experience in ports of Northen Sea Route, Petropavlovsk-Kamchatsky, the ports of Sakhalin Island, Ust-Kamchatsk, Anadyr, Pevek.